STORRS, Conn. (WTNH) – High school sports create a frenzy, on the field, in the gym, and in the stands. But the first study of its kind — a state by state analysis into safety practices — reveals what needs to be done to better protect student athletes. “We’re looking at the key things that can cause death in high school sports. So cardiac issues, heat issues, head injuries and other things that can protentially prevent serious consequences from playing high school sports,” says lead researcher Douglas Casa, who heads up the Korey Stringer Institute at UConn – a national sports research and advocacy organization. Connecticut he says ranks 38th — among the other states and District of Columbia. But Casa stresses that statewide policy changes at little or no cost, could easily boost that ranking. The unexpected can happen anytime. Baseball pitcher Joey Ciancola died soon after collapsing on the first day of winter workouts on a practice field at a New England college. “He was in perfect health and pushed to his limits,” says his mother, Michelle Ciancola. Even if a state doesn’t have a policy, Casa says that individual schools can set their own. For example he says, E-O Smith High School in Storrs has immersion tubs on the practice field, even though it’s not required by the state. Another high school football player, this one a 14-year-old in the Bronx, collapsed on the field and died last week, possibly the result of high heat and humidity. The death of Dominick Bess of apparent cardiac arrest came at a time when thousands of high school athletes have returned to practice fields. It again raises the question of whether states are doing enough to ensure that student-athletes are safe as they collide into one another, run wind sprints, or dig in against hard-throwing pitchers. Nearly 8 million kids participated in high school sports last year, the most in U.S. history. The shocking deaths of young student-athletes have prompted some states to weigh major changes. The California Legislature is considering a bill that would bring athletic trainers under state regulation. Others, including Texas and Florida, are strengthening policies on training during high heat and humidity and on the use of defibrillators during sporting events and practices. They are also moving to require schools to devise emergency plans for managing catastrophic sports injuries. And in response to growing concerns about concussions, the state of Texas recently embarked on the largest study ever of brain injuries to young athletes. But overall, a just released study of state laws and policies on secondary school sports found that all states could do more to keep high school athletes safe. And some have a long way to go. The study has prompted a strong pushback, including from the national organization that represents state high school athletic associations. But it also has encouraged some athletic trainers and sports medicine physicians who hope poor rankings will impel their states to make improvements and avoid exposing student-athletes to needless risk. 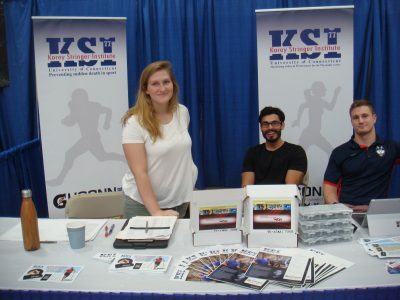 The rankings were devised by the Korey Stringer Institute (KSI), also known as Stringer, which is a part of the University of Connecticut and provides research, education and advocacy on safety measures for athletes, soldiers and laborers engaging in strenuous physical activity. It was named for a Minnesota Vikings offensive lineman who died of heat stroke during a preseason practice in 2001. His death sparked changes in NFL training practices and influenced reforms at the college and high school levels as well. 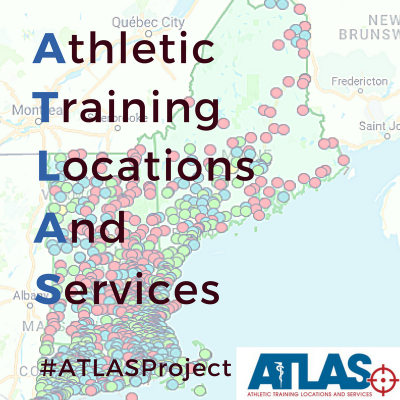 The rankings are based on whether states have adopted more than three dozen policies or laws derived from recommendations published in 2013 by a task force that included representatives from KSI, the National Athletic Trainers’ Association and the American College of Sports Medicine. The recommendations cover such areas as prevention of heat stroke, cardiac arrest and head trauma, as well as qualifications of school athletic trainers and educating coaches in safe practices. Some state athletic associations, including Colorado’s, and the National Federation of State High School Associations, known as NFHS, which represents the associations that govern high school extra-curricular activities, have objected to the methodology of those rankings. They say it relies too much on information found on the websites of state athletic associations while failing to note efforts those groups have undertaken to reduce risks to high school athletes. “By ‘grading,’ state high school associations based on a limited number of criteria, KSI has chosen to shine a light on certain areas, but it has left others in the dark,” said Bob Gardner, NFHS executive director. He pointed to steps his group and its members have taken related to safe exertion in heat and humidity, use of defibrillators and tracking head injuries, which Stringer didn’t take into account. She complained that Stringer’s methodology is too rigid. For example, she noted that Stringer penalized states that did not require that all football coaches receive safety training taught by USA Football, the governing body for amateur football. But, she said, Colorado coaches are trained in other programs that she described as more comprehensive. She also noted that her association was penalized because it made policy recommendations to its high school members, rather than making them requirements, as Stringer prefers. The scholastic association in California, which finished just ahead of Colorado, also objected to the survey. Its executive director, Roger Blake, suggested that funding was a chief barrier to progress. Between 1982 and 2015, 735 high school students died as a result of their participation in school sports, according to the National Center for Catastrophic Sport Injury Research at the University of North Carolina. The vast majority of those deaths were related to football, and three-quarters of the overall deaths were attributed to cardiac arrest, respiratory failure or other ailments associated with physical exertion. The rest were linked to trauma, such as head injuries. More of those deaths occurred in the 15 years prior to the year 2000 rather than the 15 years after — likely a reflection of the fact that most of the policies and laws pertaining to safety in high school sports were put in place after 2000, particularly in the last nine years. In 2014-15, the last year for which there are statistics, 22 high school athletes died, 14 of them football players. Some of the reforms carry the names of student-athletes who died while participating in school sports. That was true in North Carolina after the 2008 death of Matthew Gfeller, a 15-year-old sophomore linebacker who died in the fourth quarter of his first varsity game in Winston-Salem after colliding helmet-to-helmet with another player. Now a foundation and a brain injury research institute at the University of North Carolina are named after Matthew. His name and that of another North Carolina high school football player, Jaquan Waller, who died the same year as a result of on-field head injuries, are attached to a 2011 North Carolina law that specifies concussion education for coaches and concussion protocols to be followed in high school athletics. Despite the progress, the Stringer rankings demonstrate the distance many athletic trainers and doctors believe states still need to go to protect student-athletes. For instance, although North Carolina finished No. 1 in the Stringer rankings, it has adopted only 79 percent of the laws or policies used in the rankings. In particular, Stringer found the state hadn’t done enough to make certain that defibrillators — and people trained to use them — were present at sporting events. California fared particularly poorly because it is the only state that does not regulate athletic trainers. The bill would not require all schools to employ an athletic trainer, although that’s exactly what many athletic trainers and sports medicine doctors say would best ensure the safety of student-athletes. “The No. 1 thing we can do to make high school and youth sports safer is to have athletic trainers at any sporting event,” said Michael Seth Smith, co-medical director of a sports medicine program at the University of Florida focused on sports medicine for adolescents and high school students. A survey from Stringer and others published this year found that fewer than 40 percent of public secondary schools in the U.S. had a full-time athletic trainer. In a number of places, including in Florida and North Carolina, hospitals subsidize athletic trainers working in public schools, some in the expectation that after a year or two, the school district will pick up the costs. Aside from the salary of an athletic trainer, schools could adopt most of the best practices at an initial cost of $5,000 and an outlay of less than $2,500 a year thereafter, according to Stringer CEO Doug Casa. Dr. Hosokawa will be leading a webinar for Earth Networks on Proactive Heat Stress Prevention for Athletics on September 20th at 2pm EDT. When 60-year-old Joseph Lorenc set out on the 7-mile Falmouth Road Race in mid-August, 2015, he was his usual highly-motivated self: healthy, in good shape and used to running longer distances. At 9 a.m. temperatures on Cape Cod, Massachusetts, registered in the mid-70s, rising to around 80 at race’s end an hour later. A 5-mile per hour wind blew at Lorenc’s back instead of helpfully cooling him from the front. Early on, the former high-tech professional strained a lower abdominal muscle and then he had to “work harder,” Lorenc told HealthCentral in a telephone interview. That led to an “exertional heat event” that could have become life-threatening. Other risk factors for exertional heatstroke include dehydration, partaking in an activity not matched to a person’s fitness level, recent illness, and sleep deprivation, Dr. Hosokawa says. Medical tent personnel fully submerged Lorenc — totally coherent, but exhausted and wobbly with a body temperature of more than 107 degrees — in a tub of ice water for 20 minutes. The decidedly uncomfortable treatment worked, and later he reflected on his near-miss. “As an experienced runner, I never saw this coming. It was fortuitous that I was in the right place at the right time,” Lorenc says. Earth reached its highest temperature on record in 2016, according to NASA and the National Oceanic and Atmospheric Administration (NOAA). Rising summer temperatures around the globe will continue to put humans at risk — especially older adults, very young children, and those with chronic conditions. “Unrelenting heat over days or weeks above target temperatures, with no nighttime cool-down preventing recovery, can contribute to heat-related illness,” says Rade Vukmir, M.D., J.D., FACEP of Pittsburgh in a telephone interview with HealthCentral. He’s also a professor adjunct of emergency medicine at Temple University and a spokesperson for the American College of Emergency Physicians. Abnormal pulse: In earlier stages of hyperthermia, the pulse may be strong and rapid as the body tries to cope, but as heatstroke progresses, the pulse can become weak. Other forms of hyperthermia can also put anyone at risk for less severe problems: unpleasant heat stress, heat syncope (fainting), sudden dizziness after exercising in heat, heat cramps, and heat exhaustion, says Basil A. Eldadah, M.D., Ph.D, program officer and chief of the geriatrics branch of the NIA in a telephone interview with HealthCentral. The NIA suggests elders go to places with air conditioning, such as senior centers, shopping malls, movie theaters, and libraries. Cooling centers, which may be set up by local public health agencies, religious groups, and social service organizations in many communities, are another option. Call 911 if you suspect heatstroke. If the person can swallow safely, offer fluids such as water, fruit, and vegetable juices, but not alcohol or caffeine. Encourage the individual to shower, bathe, or sponge off with cool water if it is safe to do so. In the event of a heatstroke, Dr. Vukmir says EMS personnel or those in an emergency department would actually apply ice packs to the armpit and groin to cool the femoral vessels in the leg, as well as the axillary vessels in the armpit — all responsible for major blood flow in the body. Cooling blankets or a cooling vest may also be applied. Emergency personnel may also remove the patient‘s clothing so a mist of water can be applied to the skin while a fan circulates air, aiding evaporative cooling. In life-or-death situations, separate procedures involving cooled IV fluids, a bladder catheter or gastric tube might also be utilized, as well as a medical device that positions a catheter-type cooling system directly into a large groin vessel. In the event of exertional heat stroke, as in Lorenc’s case, on-site rapid cooling with whole body, ice water immersion before transporting to the hospital can be a life-saver, adds Dr. Hosokawa. See UCONN’s TEDEd video for more information on heatstroke. “Know your risk for heat-related illness so you don’t take unnecessary chances,” says Lorenc. 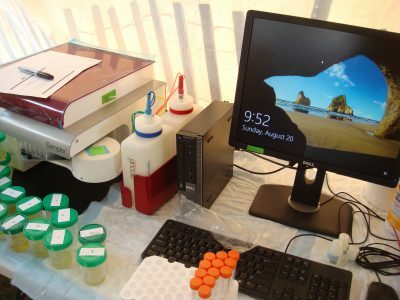 Scientists and staff with the Korey Stringer Institute will be conducting studies again this year during New Balance Falmouth Road Race. The institute, based at the University of Connecticut, studies conditions and exercise habits that can lead to heat-related illnesses and was founded in memory of Korey D. Stringer, an NFL football player who died from complications associated with heat stroke during a game. This is the fifth year that the institute has come to the road race for collaborative studies. The Falmouth Road Race, which is relatively short and where people can exert themselves to finish in the hot humid month of August, offers a venue to study ways to prevent heat illness, explained Yuri Hosokawa, vice president of communications and education with the institute. 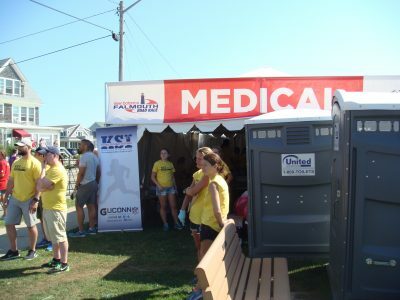 The institute’s weekend here started Thursday, August 17, where staff presented at the New Balance Falmouth Road Race Sports Medicine Symposium, held with Falmouth Hospital, which staffs the race medical tent. “It’s an opportunity for runners interested in the science behind running in the heat and medical professionals to receive continuing credit,” Dr. Hosokawa said. The institute is conducting two studies at the race. The surveillance study, being done for a second year in a row, is following a number of racers as they prepared and trained after watching an informational video on healthy and safe tips for exercising in the heat. Scientists will follow up with the racers after the race to learn how they felt during the race and how the pre-race information affected their training and experience. Every person who registers for the road race received a study survey. As of Tuesday of this week Dr. Hosokawa said that about 2,000 runners were participating. “We appreciate their interest and support and hope to get 80 percent response for the post-race,” Dr. Hosokawa said. Study results will be shared with the Falmouth Road Race and medical staff to better inform pre-race education programs, Dr. Hosokawa said. The second project selected about 30 runners, ages 20 to 65, for a more in-depth exercise study. 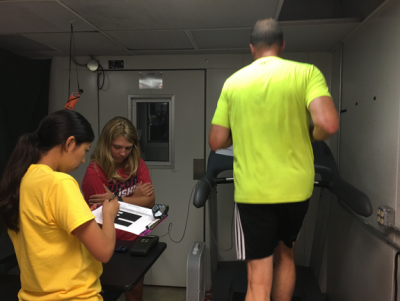 These participants visited the University of Connecticut campus for exercise testing at slower and faster paces to monitor cardiovascular fitness and how these athletes respond to heat and humidity. Their lab results will be compared to data gathered during and after the race. Dr. Hosokawa said many studies look at the elite runners; here, the institute is following competitive recreational runners, who make up a majority of the race participants. Medical practices developed at the race to treat heat illness with no fatalities have become the gold standard, she said. “The Falmouth Road Race sets the standard for medical professionals on how to prepare for exertion-related heat illness,” Dr. Hosokawa said. Sachem East graduate Carlin Schledorn, who played football as a junior, said carrying the log — about 12 feet (3.7 meters) long and the diameter of a utility pole — was a “team building” exercise. A person at Mileto’s home declined to speak with reporters. Players at Indiana’s New Albany High School teamed up last month to tote 6-foot-long, 200-pound logs two miles from a local amphitheater to the school. 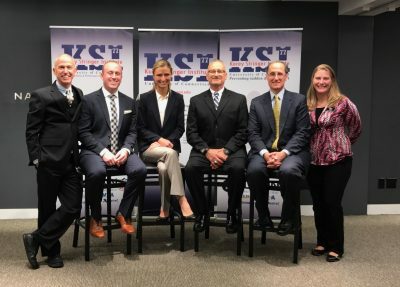 “There’s so much potential for things to go wrong that I would really want people to think twice before doing something like that,” said Casa, executive director of the University of Connecticut’s Korey Stringer Institute, which works to improve safety for athletes. “What exercises that are conducted are the privy of the school district and individuals running the workouts,” he said. Connecticut ranks in the bottom third nationally in implementation of requirements at the state level to keep high school athletes safe from some life-threatening conditions, a new nationwide assessment of safety guidelines shows. In fact, most states are failing to properly protect athletes against heatstroke, sudden cardiac arrest and other conditions, according to the study by UConn’s Korey Stringer Institute. The results were made public Tuesday morning at NFL Headquarters on Park Avenue. Connecticut ranked No. 38 of 51 (each state and the District of Columbia) in graded assessments of the implementation of policies pertaining to the four leading causes of death among secondary school athletes — sudden cardiac arrest, traumatic head injury, exertional heat stroke and exertional sickling, which is a medical emergency that can occur in athletes carrying the sickle cell trait. “What Connecticut has in place that is really a model program right now is the heat acclimatization policy,” said Douglas Casa, CEO of the Korey Stringer Institute. “That’s the phasing in of activity across time during the first couple of weeks of football practices. Connecticut has every single point you can attain on our rubric related to the first five days of not having two-a-days, not having successive days of two-a-days, phasing in the amount of equipment. States were given a score reflecting how well they have implemented policy aimed toward preventing and managing life-threatening conditions, related mostly to exertion, with scores (the best being 20) assigned in five categories. Connecticut received a score of 40.001 out of 100, with scores of seven in exertional heatstroke, six in traumatic head injuries, six in sudden cardiac arrest, 15 in appropriate health care coverage and 6.001 in emergency preparedness. The study did not take into account practices, many of them common and consistent, that take place through policy set by school districts. UConn’s Korey Stringer Institute released its findings of how states are adopting athlete safety guidelines. North Carolina was found to have the most comprehensive policies and received a top score of 79, followed by Kentucky (71.13) and Massachusetts (67.4). The states with the lowest grades were Colorado (23), California (26) and Iowa (26). The median state score was 47. • Automatic external defibrillators and certified athletic trainers on site at all athletic events. • Phasing in summer practices and taking other steps to protect athletes from heat stroke. • Training coaches on concussion symptoms. • Detailed emergency action plans for all life-threatening emergencies. • Mandated screening of athletes for sickle cell trait. The report notes that there have been 735 deaths and 626 catastrophic injuries among high school athletes between 1982-2015. More than 7.8 million secondary school athletes participate in sanctioned sports annually, the study states. Korey Stringer was an All-America football player at Ohio State and first-round draft pick of the Minnesota Vikings in 1995. He died at age 27 in 2001 after suffering heatstroke during Vikings training camp in 2001. 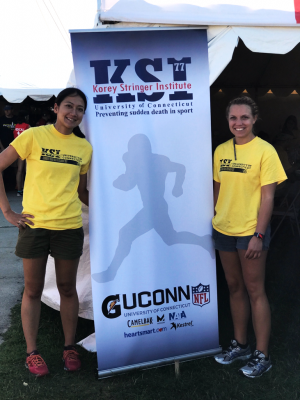 The Korey Stringer Institute, founded at UConn in 2010, is a nonprofit organization dedicated to promoting the prevention of sudden death in athletes and active individuals. It has a staff of 20, and 60 volunteers. Each state’s governing body for high school sports was notified of the study’s results and given 30 days to respond with questions, clarifications, disputes or confirmations. Scores will continue to be updated as new information is provided and policies change. “We offer the strongest encouragement for best practices, we offer guidelines,” Niehoff said. “We were disappointed that the emphasis was on a ranking as opposed to a really comprehensive and authentic look at everything that’s being done in a state. 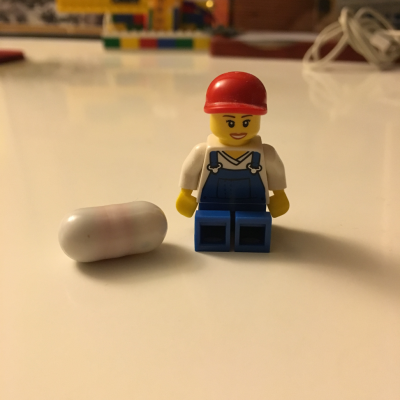 … Whether or not it feels good to look at study results, it does spark conversation and it’s always good to revisit with urgency whether your health and safety policies are as relevant and supportive as they can be. The NFL allowed Tuesday’s announcement to take place at its headquarters because it sponsors the Korey Stringer Institute, though the NFL did not sponsor the study. Casa said many of the fixes are simple.